Esther has organised some epic kids birthday parties, some of my favourite being the disco party and the stick horse party . I on the other hand am terrible at this! I seriously cannot compete. BUT I do think it is important for my kids to have their friends over, host them in our home and basically say “thank you” to all their friends for a great year together. Because that is what birthday parties are all about, right? (Not at all about presents and being the centre of attention ;)). Now another mom at school, who is a pre-school teacher, gave me a couple of tips on how she organises a typical birthday party and I thought it was so genius I wanted to shared them with you. She manages to have some of the best parties without any preparation whatsoever. When the kids turn up she divides the kids into 2 groups (depending on the numbers) and each group then bakes a cake. It takes them a good 30 mins to get all the ingredients together, mix the batter and get the cakes ready to be popped into the oven. Then she gets the kids to make the world’s longest chain garland which they then decorate the room with. After that, they have time for about 2 games (musical chairs, statues or memory tray). By that time the games are finished, the cakes are ready to eat and everyone loves them even more because they have made them themselves. When the cakes are eaten up and everyone has sung happy birthday, it is already pick-up time. I thought this very so simple and fun! If anyone has any other ideas to share I would LOVE to hear ;). I have a birthday coming up soon..
PS. The above photos are of Esther’s children’s amazing birthday parties! Last year my daughter had a butterfly party! When each friend arrived they got to choose a pair of butterfly wings (this was in place of a traditional party bag) and they spent so much of the party just enjoying being butterflies. We painted butterflies on their hands, played one game, and ate butterfly cakes. I was so glad that something so simple made my little girl so happy! What a brilliant plan! 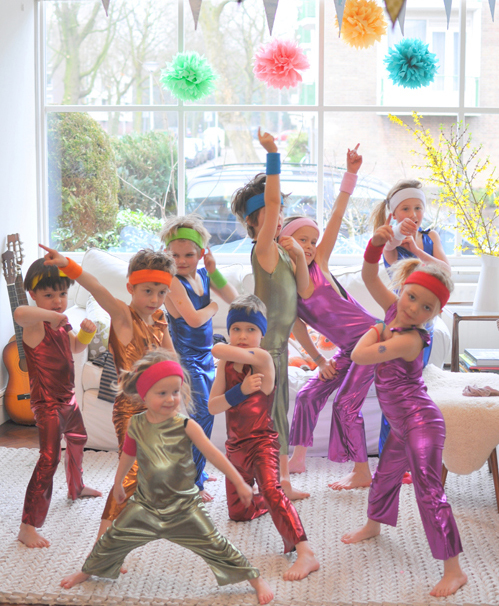 I’ve never thrown a bday party for my children, but if I do, your ideas here will definitely be the plan. We spend our children’s birthdays as a quiet family day, opening gifts in the morning and eating cake after dinner. Its small and special in its own way – but I do wonder if someday I should throw them a big fancy party! Ha! I have often been really angry at myself to have had a kid in December and another in April. Park birthday parties are out for us as it usually is to cold and it is such a shame! One time we have the party birthday at the zoo. we took all the kids with class friends , and we all go to see the animals. it was great and diferents. The kids love it.!!!! and the good things is that is for everybody… kids, teen and adults too. 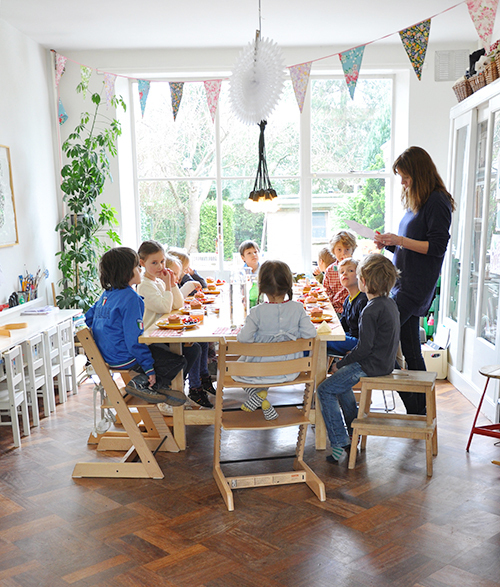 I love the idea of a simple birthday party. So often, there is pressure to make sure you’re doing so much that the actual purpose of the event can get lost in the noise of the preparations. As a father who has to deal with several birthday parties a year, you can bet that I’m going to use these tips. Simple is best. Thanks for sharing! This sounds like a nightmare to me! Having baked a lot with my 3 kids, I’m not sure why or HOW it would be easy to manage 2 different groups of kids to prepare the cake, everyone always wants to do stuff at once – it sounds so stressful. Then having to survey the baking with active kids around, get it decorated etc…I really don’t see how this could work unless you have multiple adults supervising and/or the children are much older (like 10 years old!). It sounds great in theory but I think there’s only one way to have fun at parties and that’s to be super prepared with everything ready in advance OR just do it outside of the house.